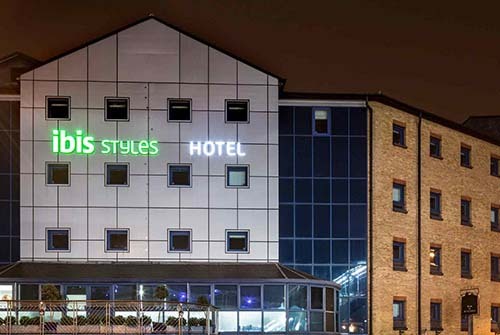 The ibis Styles London Excel, offers 305 rooms, with 16 apartments (ideal for longer stay guests), located adjacent to the ExCel Convention Centre and the DLR; just 10minutes from London City Airport. The location gives fast easy access into London and is an ideal option for O2, ExCeL, Canary Wharf, the Olympic Park or Westfield Stratford. Relax and enjoy several dining options at this London hotel, with a traditional English pub, A La Carte Restaurant and a café. An on-site car-park is available (charges apply). 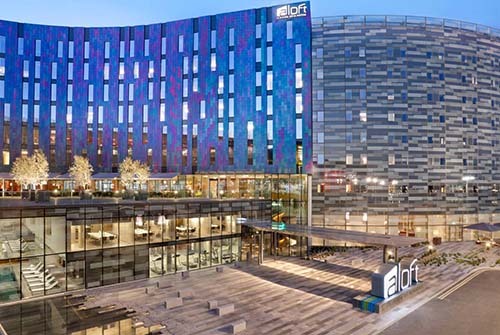 Aloft London Excel is the only hotel in ExCeL London directly connected to the ExCeL International Convention Centre. Located right next to the Prince Regent DLR station, we're minutes away from London City Airport, Canary Wharf and from the O2 Arena. Breeze into one of our 252 loft-like rooms, including 12 savvy suites and 19 accessible rooms. Fast & free WiFi is available to enjoy throughout the hotel. Welcome to Sunborn London Hotel. 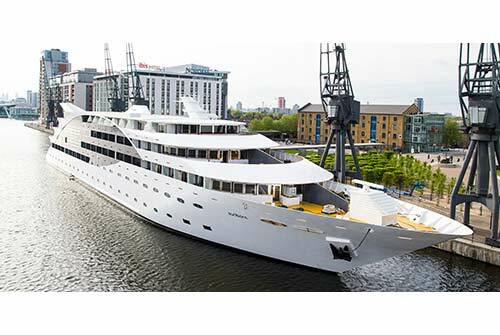 A sleek yacht moored in one of the world’s most exciting cities, creating a memorable destination for first-class dining and entertainment, and delivering a uniquely luxurious hotel experience. Each room accommodates two adults in comfort, making it the perfect base for a business trip or romantic city getaway in this impressive Docklands location. You’ll enjoy a buffet breakfast each day in our fabulous Land’s End Restaurant, too, while enjoying panoramic views across the river. Discover the Docklands during your stay at Novotel London ExCel. A London hotel near the O2 Arena, Canary Wharf and London City Airport. Admire the views of Victoria Dock from the Upper Deck restaurant and bar. Ideal venue for business with fully equipped meeting rooms. Sauna and hammam available: take the time to relax at Novotel. 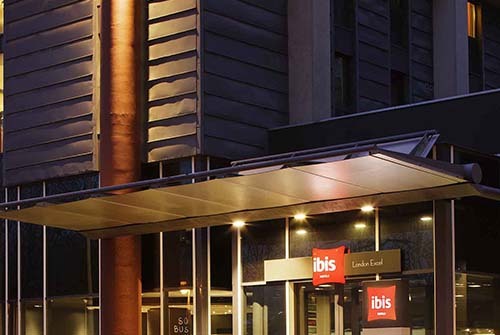 Ibis London ExCeL is located adjacent to the ExceL Centre and Custom House Station and just 2 stops on the Docklands Light Railway to the O2 Dome and the Indigo destinations. 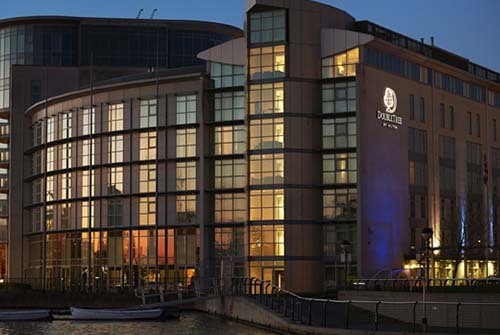 DoubleTree by Hilton London ExCel, located on the banks of the historic Royal Docks, offers a warm welcome to the bustling East London Docklands. You’ll enjoy our proximity to London City Airport, the ExCel and ICC London, and the O2. 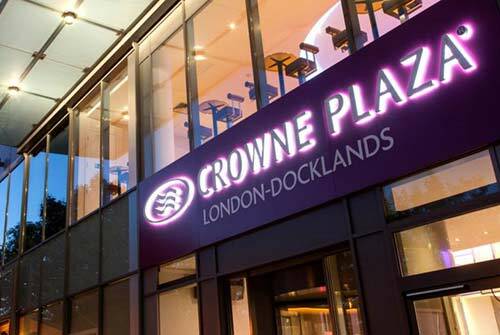 Crowne Plaza London - Docklands, a contemporary 4 star hotel offering luxury accommodation in London’s thriving Docklands area. 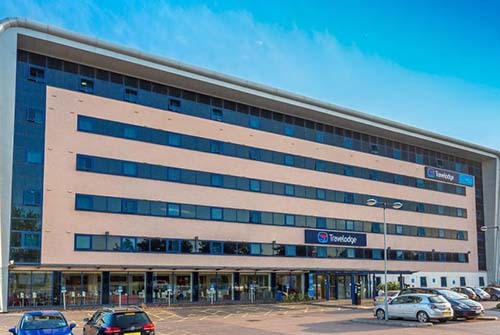 The hotel is situated just a few minutes walk from the ExCel Exhibition Centre and close to Canary Wharf, London City Airport and the O2, the perfect choice for leisure or business travellers offering great location plus all the facilities needed to help you relax and unwind. 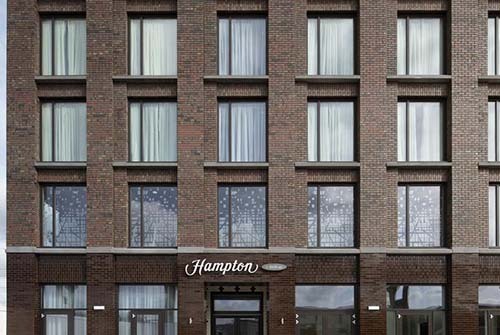 Count on stylish guest rooms and thoughtful amenities when you stay at Hampton by Hilton London Docklands. 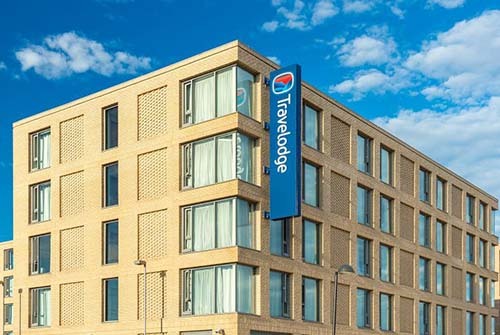 Located next to ExCeL London in the revitalised Royal Docks area, our hotel is one mile from London City Airport and a 3-minute walk to the Royal Albert DLR Station. It’s a quick journey to the hustle and bustle of Central London and attractions like The O2 Arena, Canary Wharf and Stratford City. Each guest room has Modern Decor, Comfy Beds, Ergonomic Workspace, and a Bathroom with Walk-in Shower. Watch your favorite shows on the 32-inch HDTV, and stay connected with WiFi. Comforts of home like Coffee/Tea making facilities, an Iron/Ironing Board, Hairdryer, Fluffy Towels and Bath products ensure a relaxing stay. A re-designed floating platform, pure industrial design, unique waterfront location, living room and rooftop terrace - all with a view every Londoner would love to wake up with. Good Hotel connects you with the destination, offers a premium hotel experience and the opportunity to do something back for the local community while travelling. 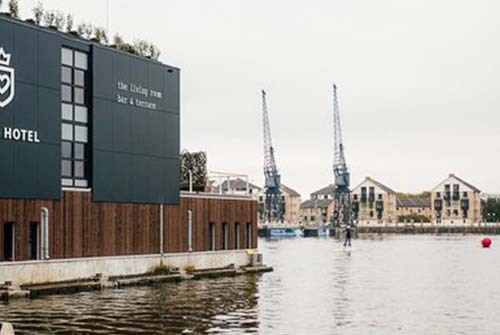 Good Hotel London is located on the Royal Victoria Dock within easy reach of DLR’s Royal Victoria station, Emirates Cable Car, and London City Airport. A prime location for the nearby London O2, ExCel Exhibition Centre, The Crystal and vibrant Canary Wharf Business District. The Jubilee Underground line & DLR (Docklands Light Railway) are the quickest routes to Good Hotel London. In a city that is know for bright lights and constant activity, MOXY London Excel has arrived to add guts to this high powered community. MOXY London Excel offers its own version of creative expression. 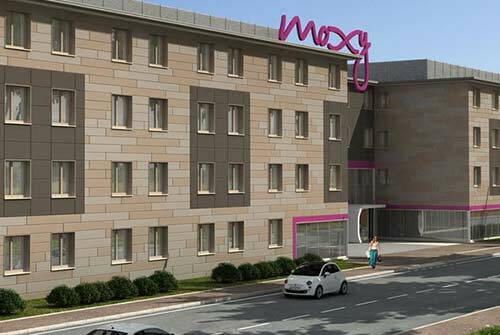 Moxy is a budget hotel with the soul of a boutique hotel. Marrying smart service and technology with contemporary style, Moxy is do-it-yourself made easy. The DIY facilities include meeting areas with 56-inch displays, snacks & drinks available 24/7, use of the computers, a bar with local spirit, furiously-fast Wi-Fi - all over the place! 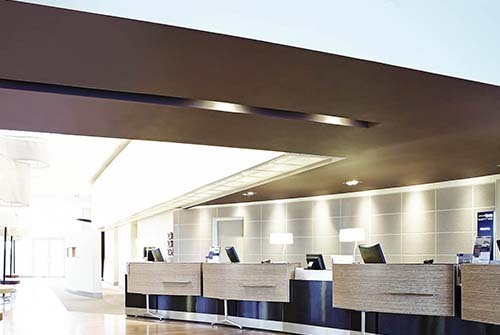 Our London City Airport hotel is ideal for flights in and out of the city of London. Whether you're flying for business or pleasure, you'll be able to get from your room to the check-in desk in less than 10 minutes. This hotel's just 2 miles from the Woolwich Ferry, close to the ExCel Exhibition Centre and retail heaven at Gallions Reach Shopping Centre.